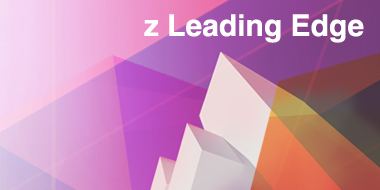 Where will you be when you need to know how your business process is performing? 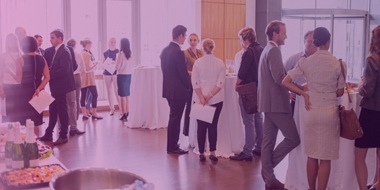 Let’s say you’ve just heard that the company CFO would like to have fresh numbers on sales and expenses for a session that is going to start in a few minutes with your regional executives. You notice your colleagues frantically calling support staff to generate and send reports in time for the meeting. 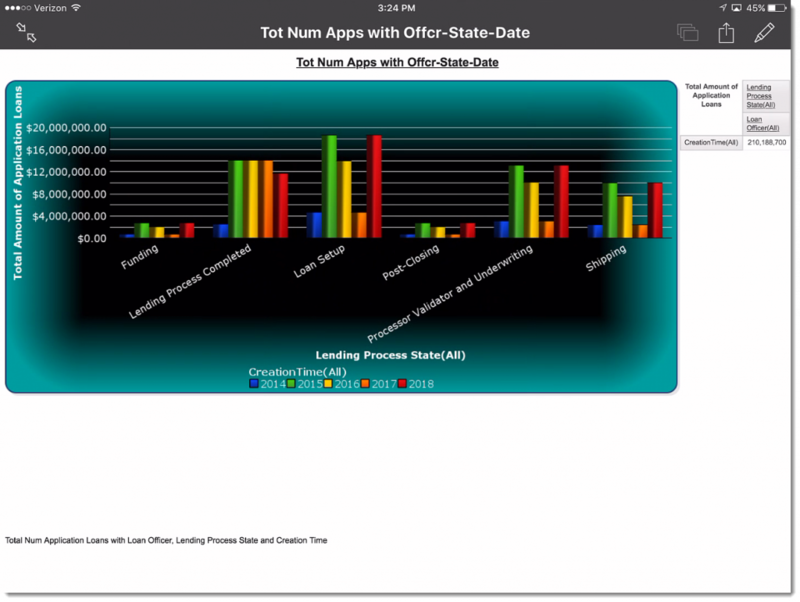 You access Business Monitor reports from your iPad and share those reports during the meeting. Not only is the report information continuously updated, but you are also able to drill down to show product level, team performance and other data using those numbers. Recently there has been a strong focus on compliance for certain types of transactions. While on your way to a conference, you receive a compliance alert for one of these transactions. 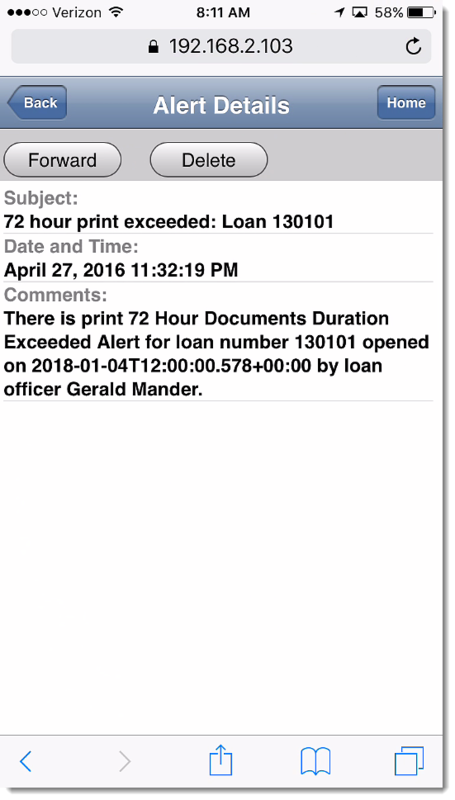 Fortunately the alert from Business Monitor contains details on the transaction and the issue along with business information revealing that the alert is related to a significant transaction with a key customer. Normally these issues are processed the next business day by a group of specialists, but that would mean it would carry over into the weekend, and could lead to a potential customer satisfaction issue. Armed with this detailed information, you are able to contact the customer directly and resolve the problem later that day while avoiding any negative consequences. 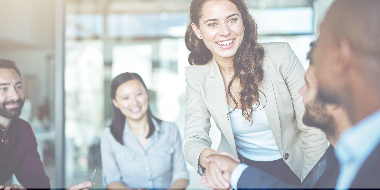 Understanding the status and completion time for a few critical processes is vital to reaching the aggressive business goals set out for the division this quarter. 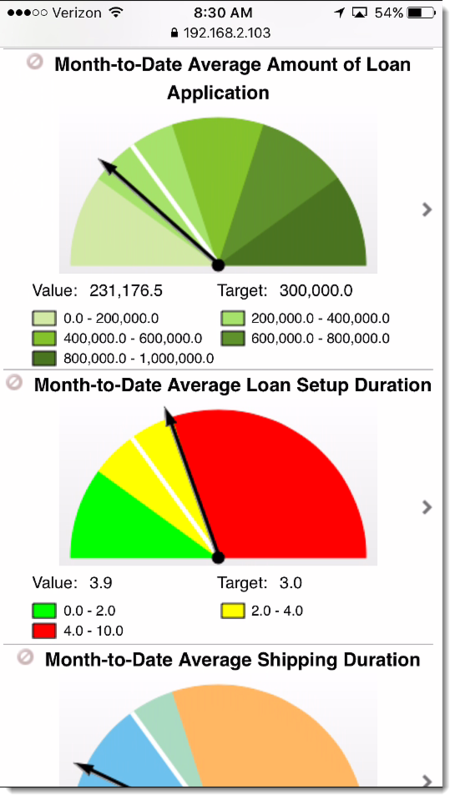 Color-coded key performance indicators from Business Monitor allow you and your team to view these measurements in real time while comparing them to their desired ranges and targets (shown below displayed on an iPhone). 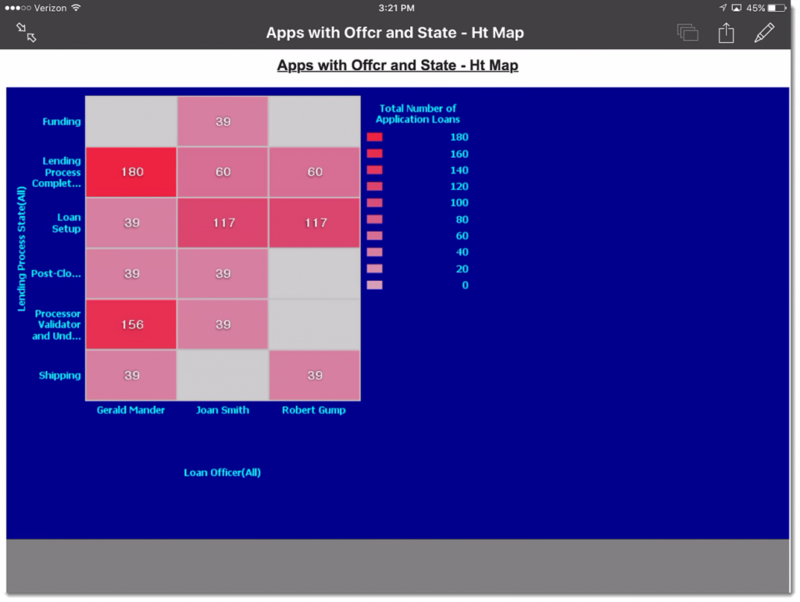 You can also use a milestone view of the processes with annotations and colors that display current status on your iPad. From this display, you can see that a simple validation step has caused a problem for an unusually large number of processes. If this remains undetected, it could cause downstream issues with multiple dimensions of negative impact. 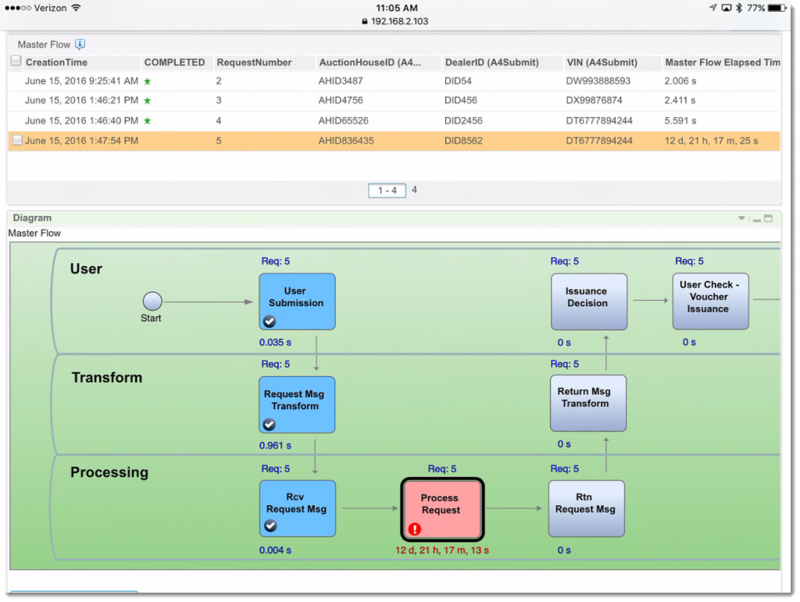 Views of real-time business measurements allow you to focus on what is important and highlight and resolve potential problem areas more quickly. These types of measurements are often difficult or impossible to calculate, as the activities in the process may occur on different systems in the enterprise or may even include partner activities. 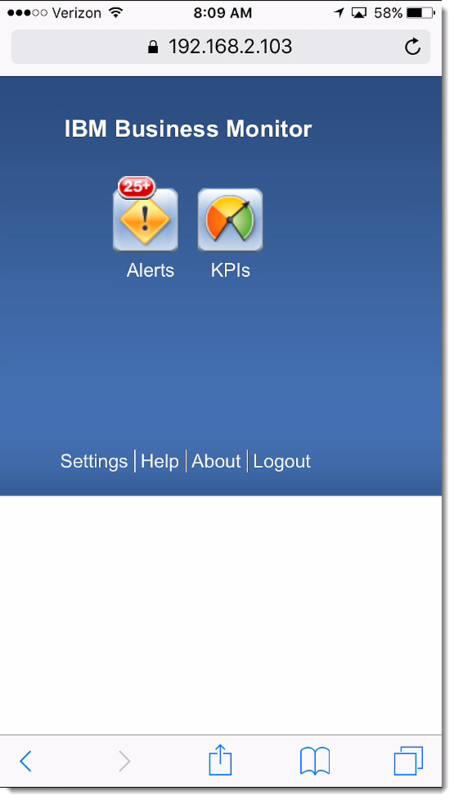 Business Monitor can measure these cross-system processes and display the results in real time. Business activity monitoring can lead to a wide range of business improvements including increased profitability, customer satisfaction, better team productivity and reduced risk. 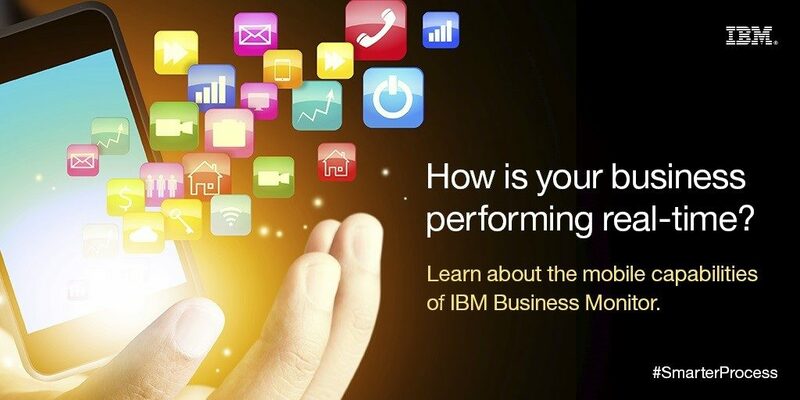 Join us on Wednesday 17 August 2016 at 10AM PST/1PM EST for a live demo of IBM Business Monitor where you can explore the latest features of the software and get answers to your questions. Register today!